She is beautiful! I am so excited to start her. She will be my first DAC to work on. I bought several on sale and this is my chosen one! 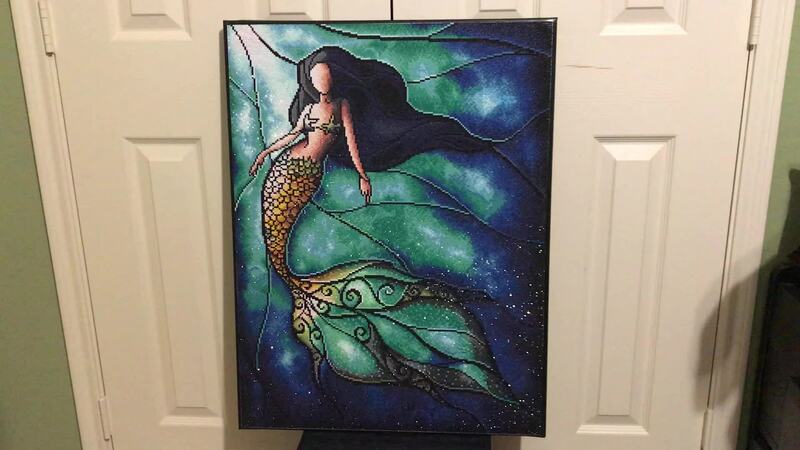 What can I say it's a gorgeous mermaid! Have yet to start this one since I'm currently working on the wolf dreamcatcher. But the reviews and pictures left from buyers had my rushing to get this to have when I'm done! This was my first AB piece and yes, the extra sparkly diamonds definitely make a difference in the finished product. Very easy to do and very fun ... the finished product is something you can be really proud of. The artwork is already beautiful but adding the diamonds to it gives it so much more depth and definition. I'm definitely hooked, can't get enough of this stuff! !